In this week’s issue… Maine loses a Pine Tree – Big cuts at CBS Radio News – So long, Diane – Another WCVB founder dies – Third CHIN for Toronto? *The last sizable market in PENNSYLVANIA whose top-rated stations are locally-owned independents is about to go fully corporate. On the heels of its acquisition of WGTY (107.7) and WGET (1320) from the Gettysburg Times and News, NERW has learned that Forever Broadcasting is about to acquire the other station group at the top of the York ratings, WYCR (98.5) and WHVR (1280) from longtime owner Radio Hanover, Inc. The combination of country WGTY and classic hits “Peak” WYCR, along with their AM sisters, will give Forever a stronger beachhead as it moves eastward from its home turf in western Pennsylvania. WGTY is already at the top of the 12+ ratings for York with nearly double the market share of its closest Nielsen-subscriber competitor, Cumulus active rocker WQXA (105.7), but it’s believed that non-subscriber WYCR is right there at the top as well. For its part, Cumulus makes up most of the rest of the market’s listening via AC WARM-FM (103.3), classic hits WSOX (96.1) and several rimshots from its nearby Harrisburg cluster. 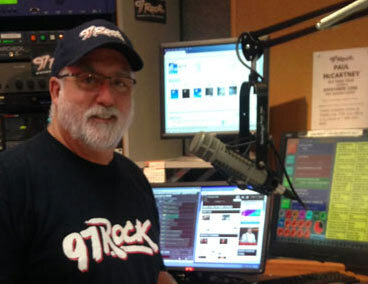 Across town, it was a tearful farewell Friday morning for Larry Norton at WGRF (96.9). After a laugh-filled benefit roast the previous night, the “Norton in the Morning” team assembled one last time to look back at Norton’s long career in Buffalo. Just before the show’s end, Norton announced that he’ll stay in radio as a fundraiser for the market’s Catholic station, WLOF (101.7) – and that Buffalo will be one of several northeast stops on Bruce Springsteen’s just-announced tour, too. Rich “the Bull” Gaenzler moves across the hall from sister station WEDG (103.3) to take over 97 Rock’s morning drive today. 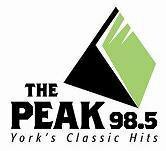 Is it more than coincidental that the logo for the new temporary format has a distinct resemblance to the “Jewel” soft AC format that Evanov runs just west of Montreal on CHSV (106.7)? And will Evanov make the case to the CRTC that it simply can’t survive with the specialty format it initially promised? Upstate, we know what WBFO (88.7 Buffalo) general manager Mark Vogelzang will be doing next year: he’s been hired by the MAINE Public Broadcasting Network (MPBN) to take over as president and CEO, replacing Jim Dowe when he retires at year’s end after five years on the job. *In CANADA, Cogeco is making good on its promise to the CRTC to sell several of the stations it bought last year from Corus. CJEC (91.9 Rythme FM) and CFEL (102.1 CKOI) would have put Cogeco above the market ownership cap in Quebec City, and after operating under a trustee they’re now headed to Leclerc Communication. No purchase price has been announced, and Cogeco says it still hasn’t found a buyer for the third station in trust, CJTS (104.5 Sherbrooke). It’s been rumored for years, anticipated for months, and scheduled for a few weeks now – but you’ll forgive us if we think the move of one of the most venerable FM stations in MASSACHUSETTS is still pretty big news. Unless you’ve been hiding under a rock for a while now, you know what this is all about: Charles River Broadcasting exiting the Boston market after almost 60 years of owning first WCRB(AM), now WRCA, and then WCRB-FM on 102.5; Greater Media upgrading its country WKLB by purchasing the 102.5 signal; and Nassau entering the market and preserving the WCRB classical format by acquiring WKLB’s former home on the Lowell-licensed 99.5 signal. The swap took place at noon last Friday (Dec. 1), with Aaron Copland’s “Rodeo” as the last piece played on WCRB at 102.5, while WKLB finished off its run at 99.5 with the “Star-Spangled Banner.” WCRB apparently finished first, with a short interval of dead air on 102.5 while the anthem finished on 99.5 – and as the anthem faded out, the signals were switched, both stations ID’d on their new frequencies, and it was on to the “Hallelujah Chorus” for WCRB on 99.5 and “Life is a Highway” for WKLB on 102.5. There’s new management in place at WCRB under the new ownership: Nassau’s New England director of sales, Paul Kelley, is now general manager, while Mark Edwards becomes Nassau’s director of programming for New Hampshire and Boston, adding the role of PD at WCRB to his duties. Sadly, one of the people most closely associated with WCRB for much of its run at 102.5 didn’t live quite long enough to see the station move. Richard L. Kaye, longtime station manager and host of WCRB’s eclectic Saturday night program, died Wednesday (Nov. 29). Kaye came to WCRB in its AM-only days, before the 1954 debut of the FM signal, and oversaw many of the technological developments at the station in the ensuing decades, from the early AM/FM stereo broadcasts through to the quadrophonic experiments of the 1970s. Kaye also engineered the Boston Symphony Orchestra’s broadcasts on WCRB, as well as many of their recordings, and he held the second-largest stake in Charles River Broadcasting, behind the family of founder Ted Jones. *VERMONT Public Radio has signed on its newest signal. WJAN (95.1 Sunderland), formerly one of Pamal’s “Cat Country” outlets, returned to the air last week from Mount Equinox, carrying VPR’s main program service to an area stretching from Brattleboro up through Manchester and Poultney, as well as a big chunk of New York State north of Albany. Cat Country remains on the air in Rutland, at WJEN (94.5); expect new calls on the Sunderland signal soon. NEW HAMPSHIRE’s highest court will hear the case of a broadcaster’s long-running attempt to put a new AM station on the air. The New Hampshire Supreme Court agreed this week to accept Bob Vinikoor’s appeal of a lower court ruling that upheld the city of Hanover’s decision not to allow Vinikoor to build three towers for WQTH (720 Hanover). The city’s zoning laws limit towers to 45 feet in areas where they’re permitted at all, and city lawyers point to the controversial Cross-Field Antenna (tested in Egypt, but not approved by the FCC or conclusively even demonstrated to work) to show that the rule doesn’t prohibit new AM towers completely. Vinikoor, who owns WNTK (1020 Newport/99.7 New London) and WNBX (1480 Springfield VT), says that’s just what the rule does, and he’s asking the court to rule that the city can’t keep him from building his station. A change of command in CONNECTICUT: Kirk Varner has been named news director at WTNH (Channel 8) in New Haven. The Nutmeg State news veteran (WFSB and ESPN, among others) has spent the last few years with Time Warner as head of the company’s local all-news operations (which would make him your editor’s ex-boss’s-boss’s-boss’s-boss, if you follow the chain of command up that far!) Varner starts the new gig at WTNH on January 7. We’ll jump over to NEW JERSEY next, as Nassau and Multicultural Broadcasting flip their holdings along the Delaware River. Here’s how it works: Nassau picks up WVPO (840 Stroudsburg PA) and WSBG (93.5 Stroudsburg PA), which the company used to own before selling them to Multicultural, along with WJHR (1040 Flemington NJ), which Multicultural bought a couple of years ago. Multicultural gets sports WTTM (1680 Princeton NJ) and business-talk WHWH (1350 Princeton NJ), one of Nassau’s original stations. But before any format-change rumors get started: Nassau’s been operating the Multicultural stations under an LMA all along, and will continue to LMA WHWH, so very little will change for listeners. Winning an “A.I.R.” award wasn’t enough to save Boston newsman Dave Faneuf’s job. Just two days after he was named best newscaster, Faneuf was let go from CBS’s oldies station, WODS (103.3). “Oldies 103” management tells the Boston Herald that afternoon news on a music station no longer makes economic sense in Boston. Morning news guy Gordon Hill appears to be safe for now. The dark AM/FM combo up in Lincoln, Maine has been sold. 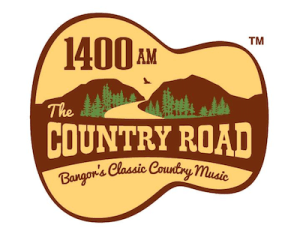 WTOX (1450) and WHMX (105.7) had been in bankruptcy; they’re being transferred to the Bangor Baptist Church, which owns WHCF (88.5). No word on exactly what WHCF plans with its new outlets, both of which serve territory that’s already well within the reach of WHCF’s 100kw transmitter. 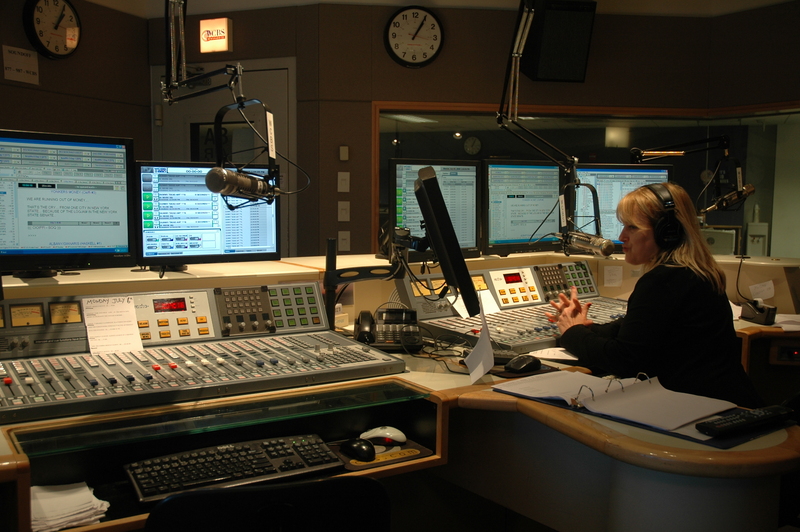 A familiar voice has returned to the Boston airwaves on WROR (105.7 Framingham-Boston). Joe Martelle, the longtime morning host at the original WROR (98.5, now WBMX) began his new afternoon shift at the new ‘ROR last week, after his non-compete agreement with WBMX came to an end. It’s been more than a year since Martelle’s been heard in Boston; he was sidelined by illness, then ousted from his morning spot at WBMX in favor of John Lander. 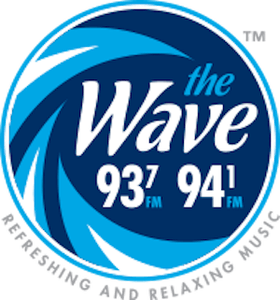 The holiday spirit is in full swing on the New Hampshire seacoast, as WSTG (102.1 Hampton NH) returns to an all-holiday music format for the second year in a row. “The Stage” used holiday music for all of last December as a transition from its old “Seacoast 102” AC format to the current mix of AC and standards. This year’s run of holiday music started December 1 and will last through Christmas. Sold! : Clear Channel Communications has closed on its purchase of Radio Equity Partners, creating a new radio-TV combo in the Providence market, as WWBB (101.5 Providence, oldies “B101”) and WWRX (103.7 Westerly, classic rock “WRX”) join CBS affiliate WPRI-TV 12 under the Clear Channel umbrella. The deal also gives Clear Channel WHYN and WHYN-FM in Springfield MA. WHYN is a news-talker on 560, and WHYN-FM is hot AC on 93.1. Congratulations to WHYN PD Gary James and the staff, by the way, for what NERW hears was a phenomenally successful reunion sock hop last month! 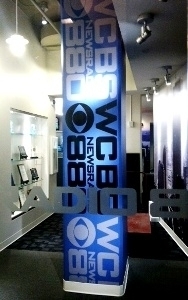 Also closed is the deal that transfers news/sports WNEZ (910 New Britain-Hartford CT) from American Radio Systems to Mega Spanish Broadcasters. Look for a format change at WNEZ any day now; we’ll keep you posted. Links to a couple of pieces from WCAX on Sharon and Bob.